New York is served by three different airports, and JFK is one of the largest. If you're flying into JFK there are three options to get into New York City including, train, bus, and taxi cab. Most people opt for the train because it's fairly quick and cost effective, however if you travel with a ton of luggage you may want to opt for a bus or taxi. Here's a quick guide on your three options from JFK into New York City, along with prices for each and trip duration. 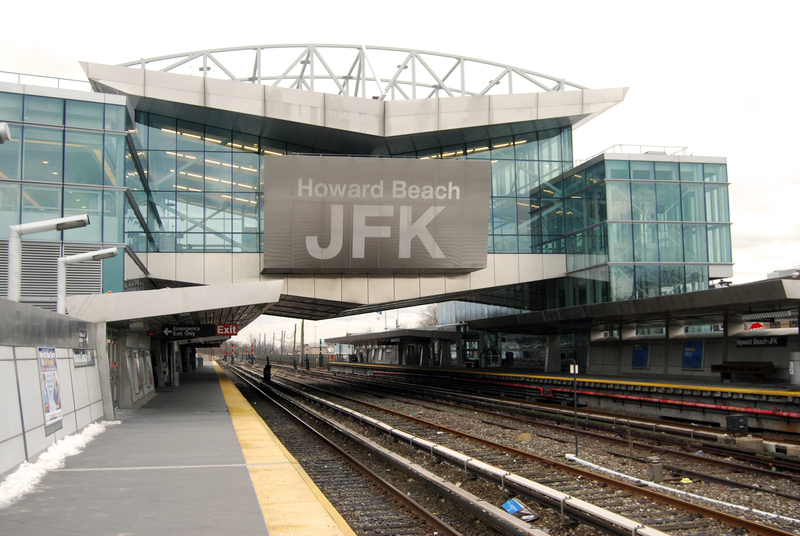 There’s is no direct train from JFK into Manhattan, but the Airtrain will take you to either Howard Beach Station to catch the MTA subways, or Jamaica Station to catch the Long Island Rail Road (LIRR). Airtrain runs 24/7 from JFK and tickets can be purchased at any of the machines at the station. A ticket for the Airtrain is US$5, and does not include the connecting transportation fare, so you'll have to buy another ticket once you arrive at the subway or LIRR. Howard Beach Station allows you to catch the A subway that will take you to Manhattan, and then on to Brooklyn if that's where you're going. Getting to midtown on the MTA takes about 50 minutes, but you’ll likely get closer to your destination then using the LIRR, because obviously the MTA makes more stops with several connections to multiple lines. The cost of the subway is US$2.50, (plus the cost of a Metrocard deposit) if you don’t already have one. For more information on the New York subway hours and costs take a look at our Getting Around New York article. Jamaica Station connects to the LIRR, and gets you into Manhattan in 35 minutes, making it the fastest option. A ticket for the LIRR varies in cost: it's US$9.50 one-way during peak hours, $7.00 one-way during off peak hours, and weekends will cost only US$4.00. If you’re in a rush and going near Penn Station where it stops, this is a great option. However, if you need to hop on the MTA to ride to a different part of the city, it means you’ll end up paying the MTA fare on top of your LIRR ticket, and you'll have to transfer stations, losing any sort of time advantage. For those less adventurous that prefer to travel into the city with other tourists, there’s always the private airport bus option from JFK. The most well known company is NYC Airporter, and they offer a one-way trip for US$16 with free wifi. Beware that the quality of this option is highly dependent on your fellow passengers (how quickly they board and settle down), traffic, and the number of terminal stops left. All in all, most people average around 2 hours to get to the city this way, which is much longer than just taking the train. Tickets can be purchased at a NYC Airporter counter in all of the terminals. A taxi from the airport is $52 flat fee to anywhere in Manhattan + tolls + tip (15-20%).The toll cost depends on which bridge you take, but you should budget for around US$7.50 for the tolls, bringing your $52 fee to about $60 before tip. You can catch a taxi at the taxi stand outside each terminal. Do yourself a favor and confirm the fare with your driver before you get in, to make sure he isn’t trying to scam you. Unfortunately, a few unscrupulous taxis drivers (just like in any city), will try to change the rate or tell you the fare is different when you get there. Remember, they aren’t allowed to charge for luggage (which almost all of them try to do). As tempted as you might be to take an offer from someone soliciting you for a fraction of the price inside, DON’T. Don’t let anyone that’s not uniformed assist you with your luggage either.